Kitchen cabinet refacing can improve your kitchen's appearance dramatically-without the hassle and expense of a complete remodel. We can help you find best deal on kitchen cabinet refacing in just seconds. In just seconds, we can compare our network of pre-screened, well-known companies and find the right match for you. Quality materials, attentive, helpful customer service, flexible financing options and more. 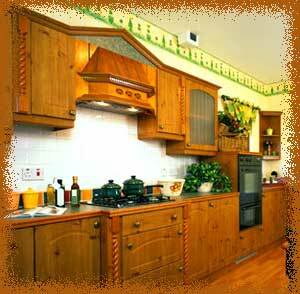 Kitchen cabinets are an integral part of the kitchen decor. Kitchen cabinet replacement can be an extremely expensive proposition. You can give your kitchen a new look sans exorbitant rates by opting to reface the kitchen cabinet doors. 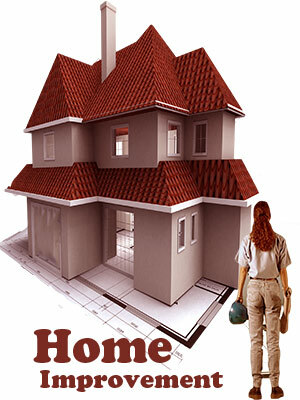 Investing in kitchen cabinets and remodeling can increase the value of your home. Cabinetry for the kitchen must meet your storage needs and complement the overall décor of the house. There is a mind-boggling range of kitchen cabinets available these days - Laminates, wood, particleboard, plywood and fiberboard. Go in for the traditional oak paneled or warm oak wood look or opt for the stark minimalist modern look. Traditional cabinet styles are characterized by ornate accents and wooden finish in warm tones such as cherry or honey or oak. Contemporary kitchen cabinets come in clean lines and simple geometry - the focus is on simplicity and style. Embellished with glass shelves and trimmings, cabinets can make a design statement. Stock cabinets come in standard sizes and are offered by manufacturers of kitchen cabinetry at attractive prices. Such cabinets are easy to install but do not have many options for customization. On the other hand, custom-built kitchen cabinets are created for individual spaces and interiors. 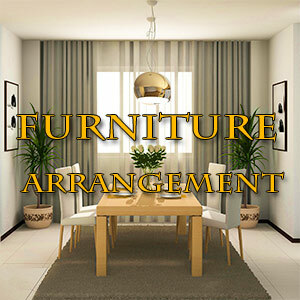 These kitchen cabinet doors are usually of solid wood and can be expensive. Semi custom stock cabinets can be created from pre-determined options of size and style. They offer you some amount of flexibility. Consider a microwave shelf that can be incorporated in the kitchen cabinetry so that it doesn't encroach into your countertop space. Other appliances such as toasters and blenders can also find place in the cabinet racks. Pull-out containers for waste and trash so that it can be conveniently out of sight. Drawers that can double up as cutting boards or a pull out ironing board. Pantry racks that swing out can make for easier handling of items within the deep shelves of the cabinets. Choose kitchen cabinets with care since they have to last you many years. It is essential that the quality of materials and construction is impeccable lest you are faced with stuck drawers and shabby laminates in a few years. Look for cabinet boxes that are of minimum thickness of 3/8-inch thick though it would be ideal to go in for a thicker board. Doors of the kitchen cabinet must be checked for chips and scratches. The joinery must be well crafted and the movement must be smooth and noiseless. Drawers and pull- outs must have high quality metal glides that should allow them to be opened smoothly. If your kitchen cabinets are old and jaded and are in need of a facelift, you can opt to replace the kitchen cabinet doors. This can be substantially cheaper and yet give your kitchen a new look. Kitchen cabinet doors come in a variety of materials ranging from wood and vinyl to RTF ((Rigid Thermo Foil) laminated material. Refacing is yet another cost effective alternative to replacing kitchen cabinet doors. The simplest way is to scrape off the dirt and grime that has collected over the years and then paint the cabinet doors after a thorough sandpapering. Drawers are an important feature of most kitchen cabinets since they allow you to put away odds and ends in a neat and orderly manner. Kitchen drawers with built-in compartments for cutlery, knives, flatware and kitchen utensils are particularly useful. They help in storing tools too. A pantry drawer is ideal to store canned or boxed groceries. Deep drawers are needed to store pots, pans and cutlery. A large drawer to store cleaning brushes and sponges is a good idea. Special drawers for cutlery will prevent hunting expeditions for the knives and forks.